The Leonding-based company CBCX Betting Technologies supports the Women’s World Championship as official partner and also becomes team sponsor of Austria. “We support the Fistball World Championship with great joy and are already looking forward to the sports event. Especially the team sponsoring of Austria is a great pleasure for us and of course we are keeping our fingers crossed for our national team”, says Peter Matausch, CEO of CBCX. In addition to the Women’s World Championship, CBCX is also sponsor of the local football club Blau-Weiss Linz and the icehockey team Black Wings Linz. The world market leader for innovative sports and live betting systems is advertising its brand XLive on the LED gangs and in the entire stadium area at the Women’s World Championship. XLive is currently the market-leading live betting software in the B2B sector. In addition to XLive, the other products of CBCX are leaders in their respective segments – the Sports and Games programs enjoy great popularity across Europe and beyond thanks to proven quality and high usability. “The partnership fits perfect: CBCX is a global player with regional roots. 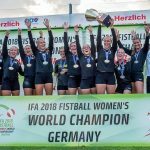 Without the support of our partners and sponsors, the FistballWWC would not be feasible. We are pleased to welcome a global player like CBCX in our sponsoring family and look forward to the partnership”, says Christoph Oberlehner, General Secretary of the organizing team. CBCX stand for highly developed concepts for sports bets. Being one of the prime operators in the European betting industry, we are among the leading suppliers for advanced software systems for sports and live betting operations and gaming products for the retail- and the web betting business – for more than 3 decades now.